So when you don't have the perfect house or body (and really who does?) we must make the best of what we've got. 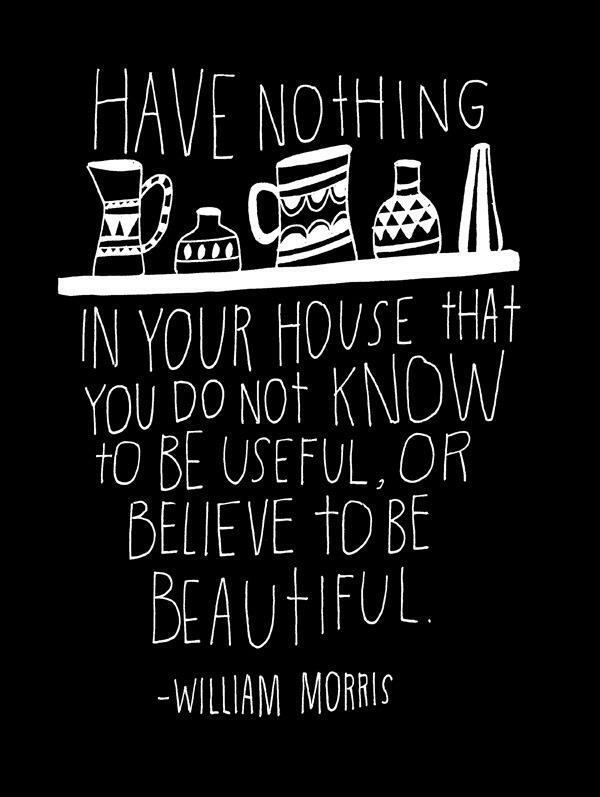 Even if what we've got is good, there are some simple and easy things we can do to make ourselves and our homes look even better. So the contrasting objectives of Home vs Her is that generally we want to make ourselves look slimmer, thinner, and taller and often our homes (especially apartment dwellers) look and feel bigger and more spacious. So essentially we need to create optical illusions. Erena and I have summarized our top five ways of achieving this visual trickery in how you dress yourself and your home. Tip number one is to get your hands on as much natural light as possible. This is probably the most important element in making a space feel bigger. Check what light you have available from existing windows and ensure curtains and window dressings are pulled back fully, and no furniture obstructs the windows. If possible add windows, or even convert a window into a floor to ceiling slider. If budget allows you could also consider installing a skylight or tubular skylight to draw in all day sunshine. 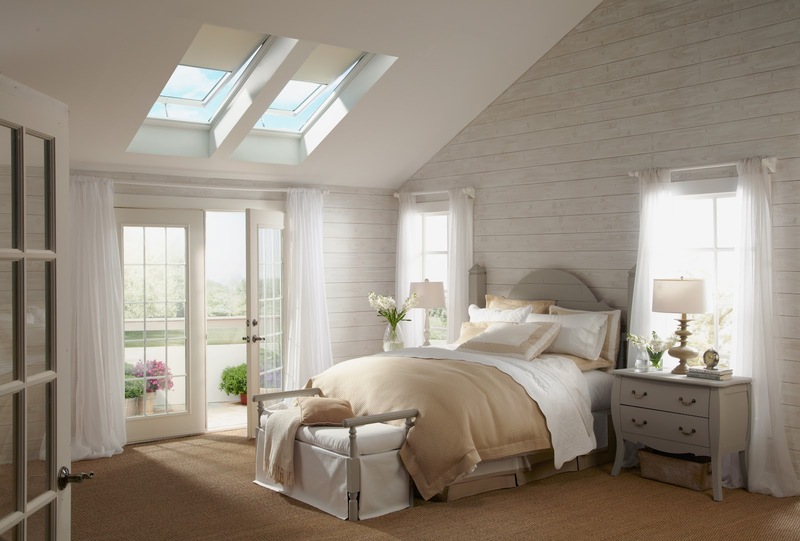 Skylights can be expensive, but they make a huge impact on that feeling of space and can look beautiful. 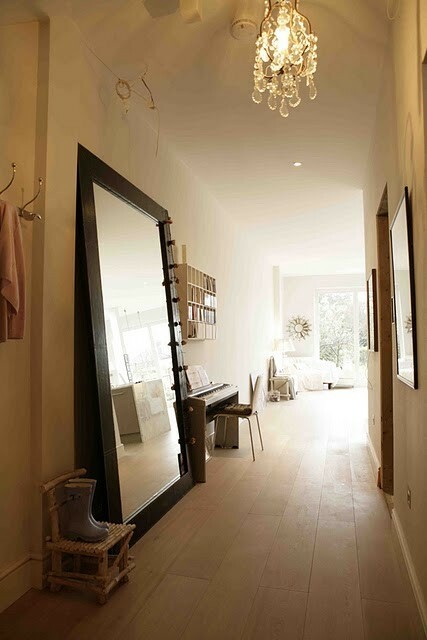 Image courtesy of Natural Light Inc.
Mirrors help reflect the natural light you have made available. We have a wall of about eight mirrors in a dark hallway in our house to draw that light in. 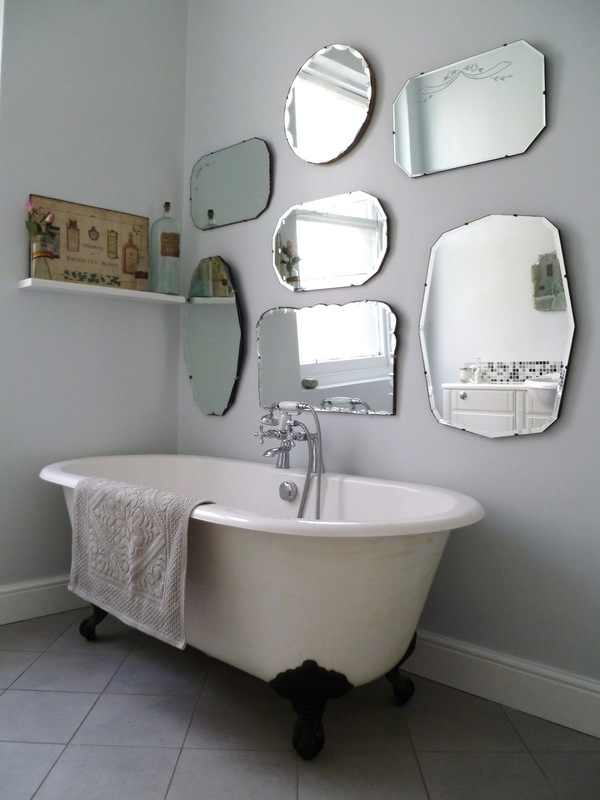 You can also choose a theme for your mirrors for example see the artdeco mirror cluster below. White or light colored surfaces will reflect more light creating the optical illusion of space. Also having the same color scheme from the floors, walls up to the ceiling creates a seamless illusion of openness. 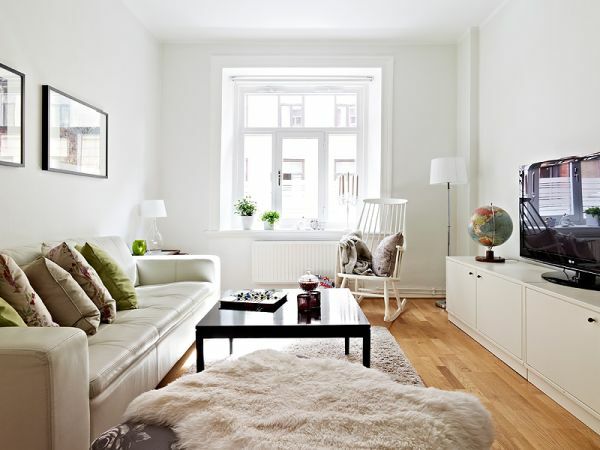 This small apartment is made to feel spacious with the consistent neutral color palette. Image courtesy of xzqt. I hate clutter and consistently get rid of stuff that I don't use and feel is a waste of space. 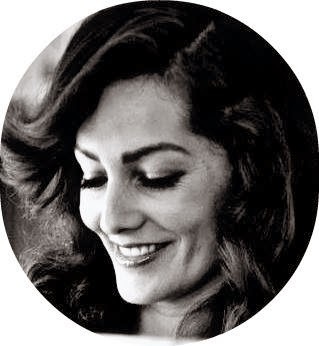 The easiest way to make space is to remove everything that you don't need or don't love. This should be done on a regular basis as we all continually collect various bits of crap over the years. So tidy up and donate to charity the things you don't need or use anymore to create more space. Avoid heavy, dark and chunky furniture and accessories. 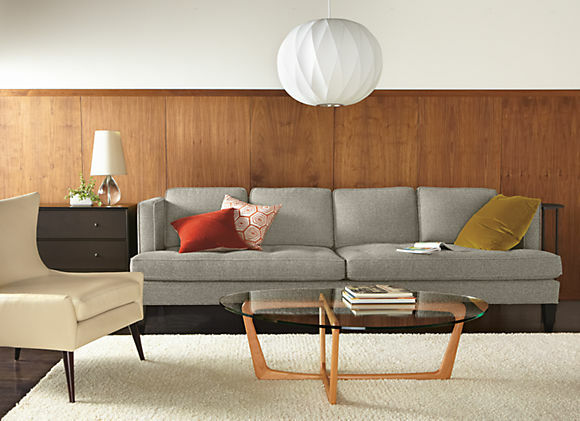 For example a glass coffee table is a great way to get that functionality without seemingly taking up too much room. Dressing in one color from head to toe instantly makes anyone look slimmer and taller. Because one color gives the sense of one consistent and unbroken line that elongates the body. Technically any one color will work given this logic, but see below example from Demi Levato in all black which is also slimming. So all black head to toe helps to elongate the body, and the pump style heels also lengthen the legs. Generally you should avoid shoes with ankle straps as they cut the visual line and make legs look shorter. She is also young in her early 20s so can pull off this shorter hemline, for 30+ demographic like myself I recommend a classier knee length or just below the knee. Demi Lavato's Image courtesy of posh24.com. I love her style in The X Factor, she looks completely different from episode to episode. Basically you should try to draw attention away from problem areas and highlight your best assets. Think tight in the right places and loose in the right places. For example if you feel your tummy is a problem area, wear loose and flowing tops over your stomach but balance it out with slimline pants. Balance also matters in terms of proportion, to appear taller and slimmer you should obey the 2/3 - 1/3 rule. This generally means making your legs appear longer (2/3) and your upper body in proportion smaller (1/3) as this magical balance will make you appear perfectly in proportion. Now belts are a favorite among many stylists as they have the instant ability to draw in the waist to create that cinched in look. Accessories can draw attention to great features and also importantly draw attention away from problem areas. So for example those with a pear shaped body should draw attention away from their lower half by wearing dark bottoms and wearing a brighter top or accessories such as necklaces and scarves to draw the focus upstairs. Then the opposite would be true for those women with large busts - large chunky necklaces will draw even more attention to this area. If you are petite you should be wary of big and chunky accessories because it can overwhelm you. For example opt for long thin delicate jewelry and fine stiletto heels as opposed to chunky jewelry and platform shoes. Tailoring or the cut of your clothing is very important. Poorly fitted clothing that doesn't complement your shape will do you no favors and could make you look bigger and shorter than you actually are. So make sure your clothes fit well and ALWAYS TRY BEFORE YOU BUY. Sorry for shouting, but something that looks amazing on the rack may not do you any favors once on your body. I know that this is tricky when buying clothing online, but once you get to know a brand and the cut and styles that works for your body shape you can minimize any bad buys. But if disaster strikes and you get something ill fitting, you can always send it back or resell. So good tailoring just sits right on your body, look for draping, ruching around problem tummy areas for example. Also consider the right fabrics, nothing too clingy to reveal anything that shouldn't be revealed. The tailoring in this dress flatters Queen Latifah's voluptuous frame by having that lovely draped fabric ruching around the tummy area. The belt also further defines her waist. Image courtesy of Thicksnational. When looking at prints and patterned fabric you should be quite careful as they can overwhelm. The general rule is that for petite frames opt for small and delicate patterns, and for larger women you can go for larger prints. Smaller pattern suits Nicole Richie's small frame and doesn't overwhelm her. The topknot hairstyle also gives her more height . Image courtesy of cosmopolitan.com.au. Another petite celebrity Natalie Portman rocks the pattern with great flowing draping and a cinched in waist with this delicate fabric and pattern. Image courtesy of coolspotters.com. Finally there are color blocking designs that can really give a slimline appearance. The black sides give that cutaway visual illusion making you appear slimmer and gives an hourglass shape. 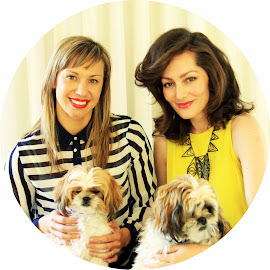 I hope these tips help and inspire you to step back and take a look at your style choices. Keep some of these tips in mind for your next shopping trip and the better you understand your body shape the better equipped you will be to make the best of your assets. For the home this topic is quite pertinent to me at the moment as I'm about to move into a much smaller house in a couple of months. We're going from a 3 bedroom house with garage to a 2 bedroom beach bach with virtually no storage space. So I need to take my own advice and try to make the best use of the available space. I'll post some pics on how I've managed to achieve more space in a few months.